Kicking into the new year, I’m pretty sure a lot of us are looking at a long list of ‘2017 Goals to be achieved’ this year. It’s the ‘New Year, New Me’ vicious cycle all over again. Fret not, it’s not at all bad to have the same goal every year. It just means that we want to take things from a different angle and that’s a good thing. I wonder how many of us have a bullet point on a list for a new job this year? Statistics show that the average person roughly has about 5 jobs by the age of 30 (excluding part time jobs before or after graduating university). This means that companies face an average 1.1% increase of employee turnover rate yearly. So, what’s the deal? Why aren’t companies doing a good job at retaining their employees? Employers have been facing retention challenges pretty often as of recent times, even more so now that millennials are entering the workforce. These tech-savvy generations with their flexible routines, new forms of communication, and gross over-generalisation of entitlement have proved that traditional working ethics just don’t work anymore. Company loyalty is quite a thing of the past. Companies that go on their course, churning time with the old ways will most likely see their turnover rates go up and up. So, how should companies have their employees (especially millennials) actually care about the work they do and take ownership of it? Here are some pointers that could be of help to companies and startups. Leadership is an important factor for any thriving company as leaders are looked up upon for guidance and support, especially by employees who just got out of school, all new, excited and wide-eyed to start their careers. They are hungry for experience and often jump into things head on—which might then lead to them failing without knowing what they did wrong. 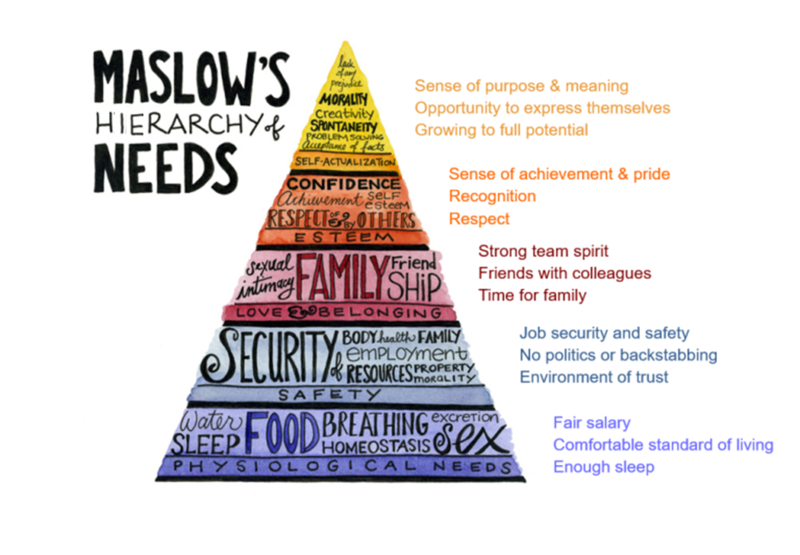 This is where leadership roles are vital for the growth of their employees. Support from leaders are not limited to just the newbies though, it also includes the senior staff as well. People need that one person to bind it all together, and what better person to do that than the leader of the organisation? 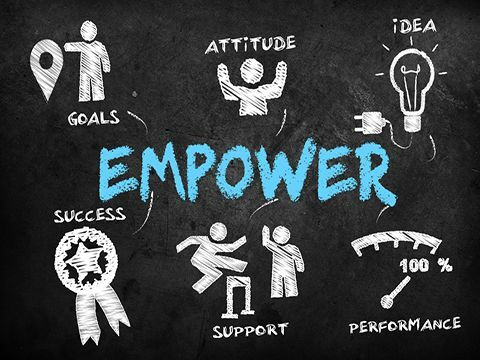 A good way for a leader to kick start their employee growth is by sharing the company’s responsibilities and learn to empower people. Create opportunities that give them the chance to take responsibility and find success, even if it is on a micro level. And if they should fail (which happens a lot), make it okay to fail. What better way to learn than from your own failures? Yes, there will be the occasional breakdown and screw up, but that’s what makes the journey worthwhile. Leaders play a part by giving their full emotional and mental support. It is proven that leaders are their best when they are empathetic and dedicated to their team. Leaders that lead with their heart and not with their heads will bring out the best in people. It’s about time that employers understand that people respond to people. When companies fulfill these needs, it automatically tells their employees that “We actually care”. Employees will feel appreciated and needed which will then lead to them reciprocating back to the company by actually caring about the business. It is in a very humanistic nature to return the favour, in which now they automatically want to give back to the company, since the company takes care of them. Notice how these are all intangible aspects? This is because intangible work benefits are much more valued than monetary benefits. A friendly work culture, lack of micro-management and bureaucracy, wellness benefits, and even some palpable perks like a cool office space or flexible working times are numerous low-cost perks that a company can offer their employees to keep them content, loyal and motivated. Work is not the only thing that people want in life. They would like to have time for their friends, family, hobbies and other small time pleasures and pastimes. Combining passion with profit is what employers should aim to achieve. When people work on projects that they feel passionate about, it would most definitely bring out the best results. Millennials (and a lot of senior level staff as well) believe in “Work to live, not live to work”, which brings up the next point. People in general want to be part of something bigger than themselves. 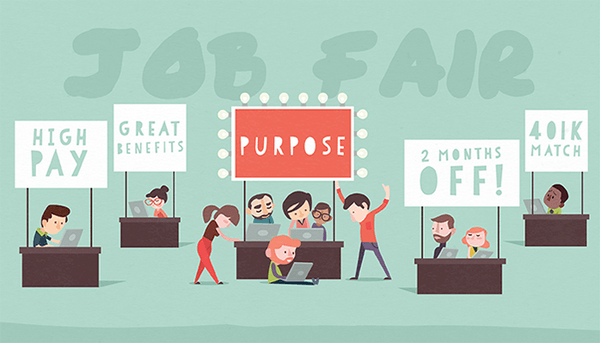 According to Deloitte, six out of ten respondents said a sense of purpose was the main reason why they chose to work for a certain company. With a purpose, a task becomes more important to them and the likelihood of them doing it wholeheartedly is much higher. Employers cannot just expect employees to nod and do as they are told. People are not sheep and need more than someone barking orders and poking them with a stick to do something. The popular phrase, “I’m the boss, I know better” is just a way to show that the managers, bosses or leaders are not reasonable. To give this sense of purpose, management should hold a form of transparency within the company and keep employees informed about the health of the company, objectives, goals, and other information that concerns everyone on the boat. Everyone is in it together right? Employees are constantly filled with great ideas and the only thing that separates employees that care from those who don’t is whether or not they are allowed to share their ideas (and act on it). No one likes their ideas to be shut down without consideration. A forward thinking company would be those that have an outlet for employees to come up with genuine input on any matter that can be used to improve the company. It’s not just about suggestion boxes that only get filled up, emptied, and then filled up again. It’s about taking those suggestions and turning it into apparent changes. For instance, employees ever so often should be probed gently by asking open-ended questions like “Do you know how could we make this better?” or “Should we have this instead of this?”. The goal is to get to a state where employees feel comfortable when proposing new ways to get things done, as well as to be included when these changes are happening because in the end—the company is made out of the people that inhabit it after all. 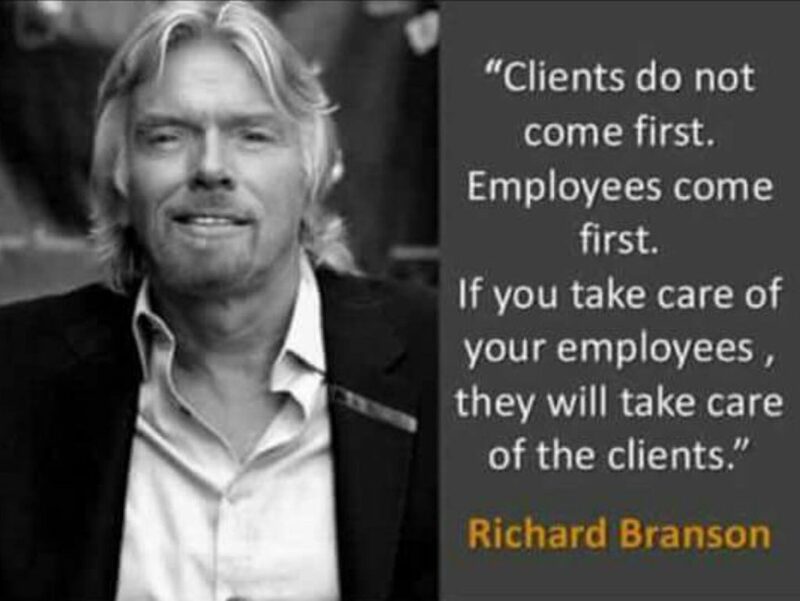 Empower your people and they will care. If someone rich and famous said it, it has to be true, right? This article was originally written by Ili Syazeaa with the title “How Do You Get Employees To ACTUALLY Care?” and was first published on Wobb, a job application platform for millennials who value the importance of good working culture.